Firmx Serum contains a patent pending unprecedented 52% active Growth Factor Extreme NeuroComplex™ . Including 10 powerful anti-aging neouropeptides and peptides. FirmX is a youth activating serum that will firm, moisturize, retexturize and brighten the skin. Firms, tones and countours sagging skin. Reduces the severity of fine lines and wrinkles. Apply to cleansed skin daily. Follow with PTR moisturizer and/or SPF protection. If using with Un-Wrinkle® serum, apply Un-Wrinkle first. For optimal results use once daily and with continued use. Since I don't have wrinkles, I can't tell its effect on wrinkles.However, it indeed firms my skin after application.i can't really see the results for fine lines with it. The point for 5 stars here is due to its effect on lifting and firming.I use clarins facial lift after, to help absorption. I was amazed at how much better my skin texture became after using this excellent serum. It also firmed my neck and facial skin! Glides on like butter-feels great and I dobelieve I am seeing results. 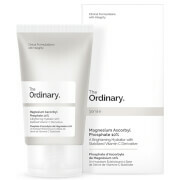 Skin seems tobe receiving benefits from the formula-smooth appearance-somewhat firmer and it's just the beginning. I will order again.I do have confidence my skin will get even better. PTR does a good job with his products. My skin appeared younger and firmer after 2 weeks use. As the weeks go by, I have seen continued improvement; and I am still using my first bottle. FirmX Growth Factor Extreme Neuropeptide Serum is a good value. First, let me say that I use and love many of Peter Thomas Roth's products. However, I have not been impressed with this product. While it does moisturize and feel nice on the skin, I have seen little improvement in the area of firming. I had hoped it would help with the nose to mouth lines, but it hasn't. I will finish the container, but I don't plan to repurchase. I've tired a lot of skin care products and thisis oneof the first that actually does what it says. After about 10 days of use, people began commenting on how "young" I look! It's pricey, but worth it! ACTUALLY DOES WHAT IT PURPORTS TO DO! I am 65 and have purchased a lot of skin care products over the years. This is one of the first times I've ever been impressed! It really works to firm and smooth your face, neck and chest. It's a little pricey, but you only get to make a good first impression once ... and for those "lasting impressions" ... like my son's wedding album, it is well worth the cost. NOT FOR ME OR "MATURE" SKIN? I so wanted to like this product but it did nothing for me and had to return. 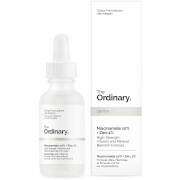 It is a great serum but I bought because of rave reviews on other sites. After consulting with a skin care person in customer service she said very nicely not good for aging skin,in other words it is meant for 30+, those just noticing skin changes.PTR is just starting to get into the aging market and I have already been there a long time. I need the big guns such as prevage.If I just wanted over priced moisture would have kept. To me it is just very nice packaging,not what I need.